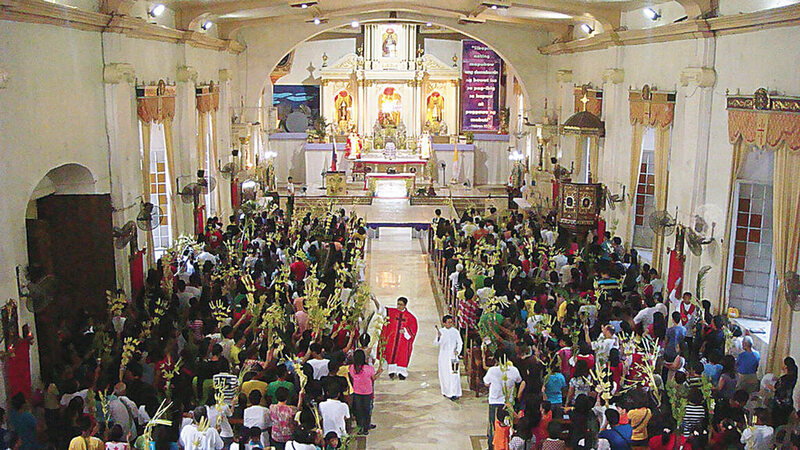 Palm Sunday service in the Philippines. What are your childhood easter memories? May I ask you a question? When you think back on your childhood memories, what comes to your mind when I ask you to recall your Easter Memories? Growing up in the Philippines, my memories of Easter revolve around a solemn event we refer to as “Holy Week.” Here is what Holy Week celebration was to us. 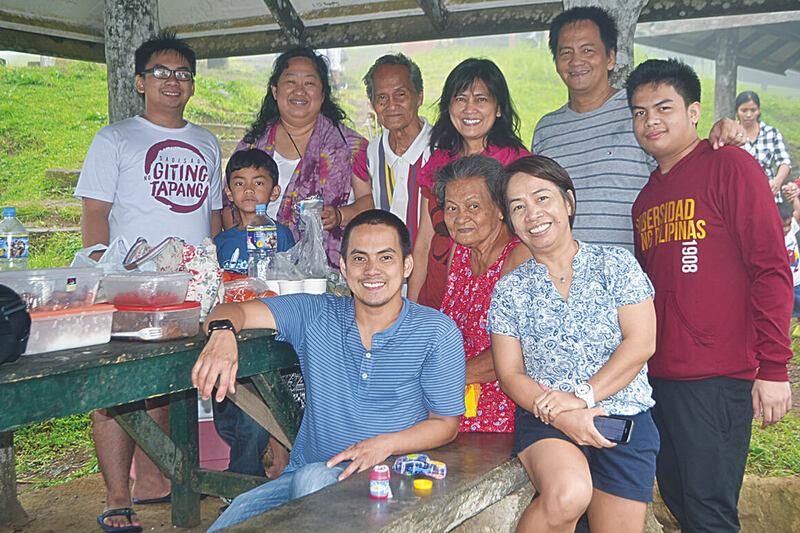 • We went “home” to the province for that week to spend time with our family and relatives. When I say home, it’s actually my grandparents’ home. We lived in the city; Quezon City, Metro Manila. And so going to our province—Bulacan, for the Holy Week—was a big deal, and something I looked forward to. • Holy Week was a time to get together with family and friends. I remember my Tita Manding having puto, suman and bibingka. We would also feast on various fresh picked fruits from our grandparent’s trees; Bayabas (guavas), Santol (not sure what it’s called here), and Kaymito (Star Apple). • During Holy Week, we participated in religious rituals like bringing “palaspas” to church on Palm Sunday, putting ashes on our forehead on Ash Wednesday, and Stations of the Cross on Good Friday. I also recall not eating meat on Good Friday. The interesting thing about not eating meat on a Good Friday was that we feasted on seafood. And since seafood such as prawns, crabs and fish are my favorites, I didn’t mind not having meat at all. • I remember all the television channels all played movies based on the Bible and other religious movies on Monday, Thursday, Good Friday and Black Saturday. The regular programming was temporarily cancelled. Liza’s Family; Estrella, in the Philippines. • The radio shows aired the “Seven Last Words” on Fridays. • One religious tradition or ritual I wasn’t particularly fond of was the flagellation or whipping of oneself. I didn’t like seeing the blood. I also didn’t like the mock crucifixion on the cross. • On Sunday there was a “Resurrection” celebration—there was a procession we called “Salubong,” where the statue of Jesus and Mother Mary meet each other as a symbol that Jesus Christ rose from the dead. • How about Easter bunnies and Easter egg hunts? No, I had not heard of them until I came here to Maui in 1994. I am not kidding, I do not have any childhood memories of Easter bunnies and Easter egg hunting. And I do not think I was deprived. In fact, I think I am better off not having celebrated Easter with an Easter bunny as the central theme. Back then, it was all about family and faith in God. How about you? What are your memories of “Holy Week” or “Easter Sunday?” And how do you celebrate it now? 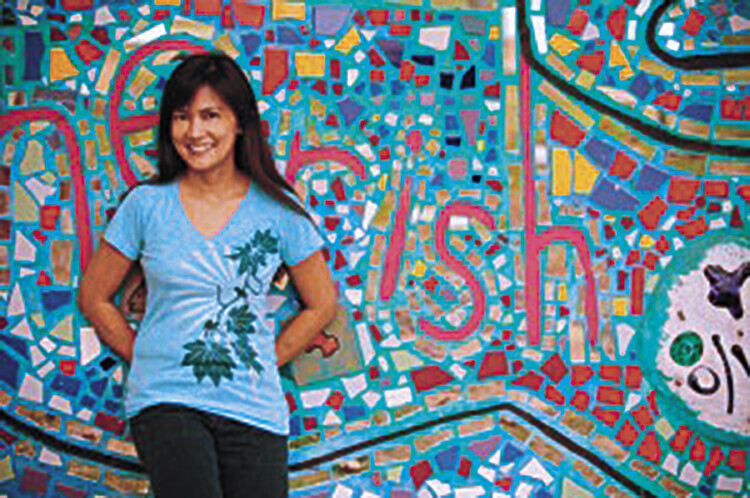 Feel free to share it with me at info@filamvoicemaui.com.